Discussion in 'News & Updates' started by TrainSim-Jay, Apr 4, 2018. In response to your important feedback, today we have released an update for Train Sim World: Northeast Corridor New York. 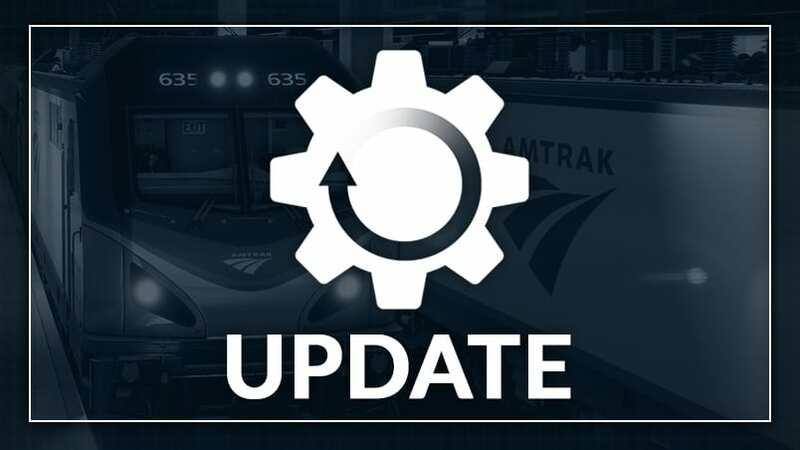 If you own Train Sim World: Northeast Corridor New York, the update will download automatically from Steam. If you have any problems/queries in regards to the update, leave a comment below or submit a ticket to our support site where our Support Team will be ready to assist. In the unlikely event that Steam fails to update Train Sim World, you’ll need to perform a file verify and ensure Steam provisions your installation properly. Follow the instructions listed at this link to perform a file verify to reset your installation to default. If you find that after the file verify has completed, you are confident you have not received the update, please contact our Support Team by submitting a ticket to our support site where someone will assist you directly. Thank you all for your continued feedback and support, keep it coming! I still found several bugs that need correcting. There is a misspelling on the Amfleet I Coachclass emergency exit windows. "Remvoe" should be remove. The brake sounds on the Amfleet isn't loud enough and they don't sound unless you release the brake and reapply it under 10 M.P.H. The brakes should start squealing when braking at about 25 M.P.H. There is no bell doppler either on the ACS-64. The pitch should not stay the same. There aren't any traction blower motor sounds on the ACS-64. This video below shows the brake sounds on the Amfleets, the bell doppler, and the traction blower audio when the locomotive accelerates.